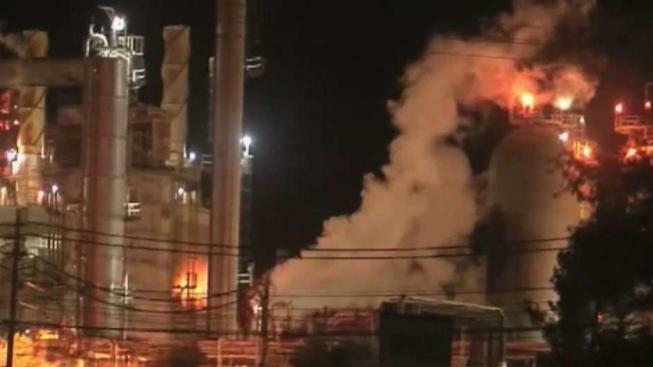 A health advisory was in effect Friday morning for parts of the East Bay due to an incident at a gasoline refinery in Martinez. Shell Martinez Refinery on Pacheco Blvd. said a refinery unit "upset" may cause odors to reach the boundary of the refinery. There's a chance people near the area may experience eye, skin, nose or throat irration, especially for people with respiratory sensitivities. Officials urge people to rinse off any irritated area with water. The health advisory was eventually lifted around 7:50 a.m. Shell says it has contacted County Health officials. The Martinez refinery was opened in 1915. It refines and markets gasoline and other petroleum products, accordin to the company's Facebook page.